When News Reporter, Christine Chubbuck, committed suicide live on air, it shocked the world. It is significant that the reporter suffered from severe depression throughout her career. When she decides to change the opening of the show one evening, the news team do not question her motives, having witnessed her in such an upbeat mood. It was only soon after that she pulled the trigger. Not to be mistaken for the 1983 Stephen King film, Antonio Campos’s biopic, Christine, is eloquently executed, featuring a wounding lead performance from Rebecca Hall. The film is set in the 1970’s, and the atmosphere of the time period is weaved into the film’s aesthetic. A slow pace aids to the audience’s level of frustration as the film progresses, and Christine reaches a downward spiral. Campo keeps the mood somber, the lighting dull; the pace slow. But he has such a way with direction that, for all your dread, you remain captivated throughout. As for Hall, her performance is so cleverly calibrated, setting out to shatter our emotions. Only seconds into seeing her character, we are immersed in her pain, and soon get to grips with her piercing personality traits, and awkwardness. Her character notably holds similarities to Gyllenhaal’s Lou Bloom in Nightcrawler. Don’t expect to exit jumping with joy after this screening. It is guaranteed to make you feel very uncomfortable, but nonetheless fascinated. Not everybody will be able to sit through Christine, for it may be too much. Deeply devastating, Christine draws a thrilling illustration of Chubbuck’s mentality, making for a critical character study. Campos’s cold film reminds us that although a person may appear strong on the outside, it’s not always how it may seem. A dark and haunting tale, accurately and compellingly told. Completely agree. The sense of dread throughout was really unsettling and Rebecca Hall was incredible. Can’t believe she’s being so overlooked. I would give her the Oscar but I doubt she’ll even get a nomination. Right?! She definitely deserves an Oscar. Sad, but true. Great to see someone else who appreciated the film as much as I did! Wow i’d never heard of this but it sounds fascinating. 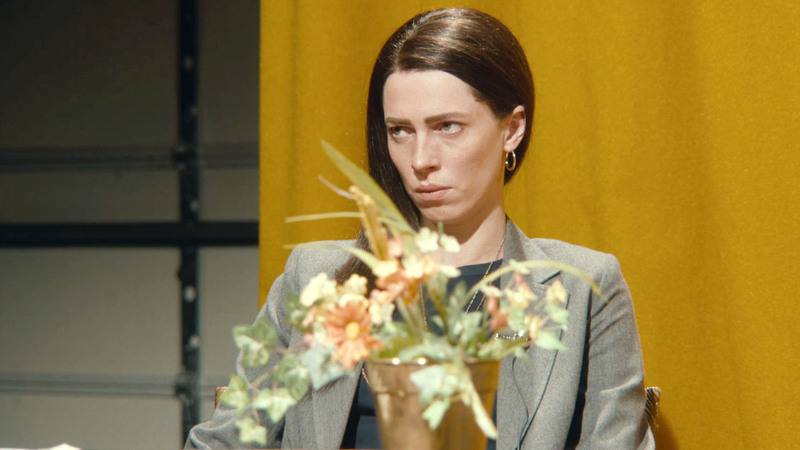 Rebecca Hall is a brilliant actress. I’m slightly disappointed there’s no evil cars in it! I look forward to reading your thoughts once you’ve seen it! It’s fascinating, but utterly devastating. Thanks for reading! It’s great to hear that this story gets the dark, haunting treatment it deserves. I’ve been intrigued by the real life person and her life for a while now, and I will definitely be giving this film a watch in the near future! Fantastic review, Georgina! I like how we both talked about John Carpenter’s Christine somehow. This is a great review, I agree with your point on how Christine’s character draws similarities to Jake G. in Nightcrawler. Good sense of context! Haha. Thank You! Keep updated. Great review! This movie was in theaters by me for maybe a week, so I completely missed it. It seems like this movie should be getting more attention, especially Hall’s performance. Why do you think no one is talking about this movie?? The film doesn’t come out until the end of January/early february where I live. I went to a pre-screening, hence the early review. I think a lot of people have yet to check it out when it’s released. It definitely should be – her performance is Oscar-Worthy!! I didn’t much care for Kate Plays Christine, so maybe I’ll fare better with this one. I do worry about its exploitation though. Kate Plays Christine wasn’t worth the watch at all, sadly. This one is worth your time, I assure you! Hadn’t heard of this film before, sounds really interesting! Definitely check it out! I felt it was one of the most underrated last year! Thanks for reading.